Navy life before email, the internet, fax machines and personal computers. INTRO: The anticipation or receiving mail was always exciting weather you were in boot camp, stationed on a base or on a ship. When you didn’t get anticipated mail it was always disappointing and sometimes down right depressing. You always thought that no one cared even though you may have just received some mail a couple days ago. Some days you received 4 or 5 letters and couldn’t believe your fortune. You felt loved, appreciated and special. You were on top of the world for awhile. BOOT CAMP: Boot Camp mail call was unique in that your entire company of about 80 recruits gathered in a circle surrounding the designated mail clerk. He read the addressed names out loud. You couldn’t wait to hear your name. You always wondered who the letter would come from. Would it be from family, friends or that special girl friend? The moment you heard you name a loud verbal cheer usually ensued. One time in boot camp I got a letter from a new possible girl friend. She addressed the card to “Dougie Woggie Woo Woo Woo”. A crazy name I got as a senior in High School and thought I left behind. This was not the place or time to let it become known. Definitely not a good thing to hear yelled out in front of eighty young tough guys who always look for a reason to tease someone. That name stuck with me for 4 years. How it got from duty station to duty station I’ll never know. I suspect my former Navy buddies found ways to pass it on to someone. Actually I didn’t mind it. It was all in good fun and strangely made me feel popular. It was a big hit and my shipmates loved trying to harass me with it. I am still talking about it 4 1/2 decades later. TREASURE ISLAND: When I was stationed at Treasure Island in San Francisco you have to go to the post office to pick up your mail. The windows were broken down alphabetically and you always hoped that your line would be short. Mom always sent cookies which were usually devoured in minutes by my friends and sometimes by me. If I went to the post office with friends they were gone before I got back to the barracks which was about a 15-20 minute walk. My dad was very tight and in order to save money he would send mail via the cheapest rate. I think that would be by Paul Revere and his horse. I would get mail that was three weeks old and cookies that were staled and crumbled. We ate the cookies anyway. Home cooking was always preferred to base or ship cooking. I finally convinced dad to send things air mail. I started getting mail in 3-5 days. When at Treasure Island my dad had friends and family come over to the house and make a reel to reel tape recording letter. This was really a new and neat concept. I went out and bought myself a cheap plastic recorder from some electronic store on Market street so that I could also send audio letters back home. Dad saved many of them and I still have these cherished possessions. These audio tapes bring me back right to the moment when I listened to or made them. Unfortunately my cheap recorder broke before my next duty station and we didn’t make any more tapes. The only problem with getting mail was that you had to respond back. You ended up repeated the same story to many different people. Writing letters was often very boring but had to be done. If you didn’t do it then you would be jeopardizing future letters from those same people. The incoming letters would become few and far in between. IN PORT: This was always a special time. You knew when you pulled into your home base or a foreign port there was going to be mail waiting on the pier or at the base post office. The mail was not necessarily going to be for you personally but the anticipation of the possibility was always exciting. AT SEA: At sea when you were operating in the vicinity of an aircraft carrier you would get mail delivered to your ship via helicopter. The carriers’ jets would fly to nearby bases and pick up mail for ships that operated near the carrier. They would land on the carrier and transfer the mail to the helicopters for delivery to your ship. It was frustrating when you knew mail came aboard but that the Postal Clerk took to long sorting it and getting it distributed. It was always a thrill to see those orange mail bags being lowed on to the deck. You had something special to look forward to and couldn’t wait to hear the announcement “Mail Call”. The designated shipmate for each division ran to the post office door to beat the crowd that was sure to come. The person picking up the mail was so excited to see if he got any that he flipped through the mail bundle quickly looking for his name. He would be bumping into other shipmates and even bulkheads only interested in his own mail. His job was to then sort the division’s mail and place it on the shipmate’s bunk bed. It was always neat to come off you watch or other assigned duties and see a stack of mail waiting there for you to read. If you had to go to the head at that time you usually took your mail with you and spent some serious time sitting on the can reading your mail and talking to the guy next to you about the hot news from home. 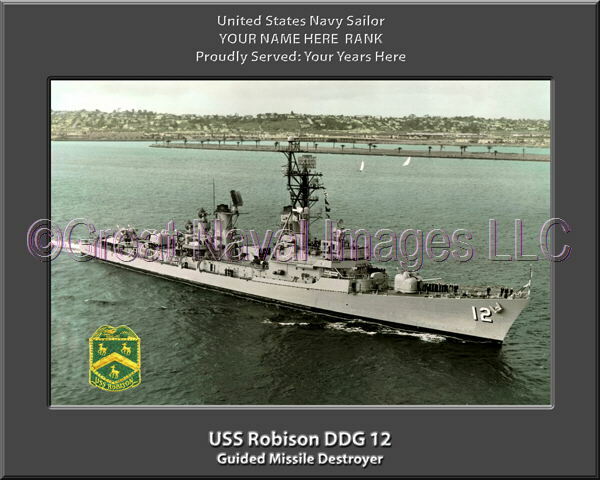 When I was stationed on the first ship the USS Robison DDG 12 out of San Diego I was asked it I wanted to be an assistant postal clerk. This position was also known as the Postal clerks grunt but offered some significant benefits. The advantages were tremendous. I was first off the ship to pick up the mail. Got to leave the ship for awhile even when I had the duty. I sorted the mail in my little 4x6 foot room with the door shut and locked. I always got my mail first. I can’t tell you how many times my shipmates were beating on the post office door wanting to know what was taking so long. I would yell out all sort of excuses just to buy a little more time to read my important mail from my girl friend. It was a great part time responsibility and very rewarding as it was a very popular thing I was doing. When my shipmates got mail it was like I was their best friend in the whole world. The opposite was true when they didn’t get any mail. It was like I was the devil out to ruin their life. I was always amused by this in that I had nothing to do with them getting mail or not. LESSONS LEARNED: I made one of the biggest mistakes of my life regarding mail. I religiously saved every letter I ever received from everyone for over 4 years. I think there were over 800 of them. 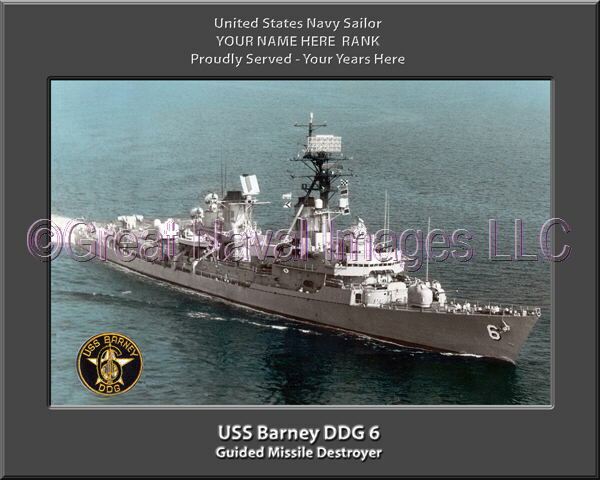 When I got out of the Navy I wanted to put my Navy life behind me along with the fact that my 3 ½ year Navy girl friend dumped me because I stayed in longer then I needed to. I built a fire in my parent’s back yard and put my letters in the fire one by one. My mom asked me what I was doing. I distinctly remember saying that I was getting ready for my new life as a civilian. Mom begged me not to do such a stupid thing but I would not listen. She explained that some day I will be extremely disappointed I did this. I did it anyway. Every single letter was now destroyed. I felt this was the way to move forward quickly and not dwell on the past. I wanted to concentrate on college, finding a part time job and date a few new potential girl friends. Needless to say, mom was right. The documented memories are loss forever. I would do or pay anything to have them back. Luckily I married a gal I started to get acquainted with during my last eight months in the Navy. She saved every letter I had written to her and we found those letters in a box 30 years later. Thanks to Barb I consider those letters to be some of my most prized Navy possessions. They represent a window to by soul at the time. They recorded by thoughts as I travelled the world, served in Viet Nam and got ready for civilian life. I did have one additional bad experience with the mail shortly after I was discharged from the navy. Our last port was Acapulco Mexico. I took about 25 pictures of the port and my closest friends. When I got out of the navy I sent the only copy I had to my former postal clerk boss to look at as he was in many of them. He never returned them. Because of my trust those photos are gone from my precious navy photo archive. I didn’t have the negatives and he never responded to my letters to him requesting there return. To thus day I would still like to track him down and find my pictures of my last days aboard the ship. I graduated from Garfield Hts High school in June of 1963. Many people questioned if that day would ever come for me. My grades were never very good. My prospects for a bright future were pretty much decided by others that there wouldn't be a bright future for me. I was told by many teachers, parents and friends that I was not college material. I was also told by my family and some of their friends that I was anti-social and will probably become a troubled adult. My dad asked me one day what I was going to do. I told him I could work at the White Motor Company like he did for the past 35 years. He killed that idea by telling me that I would come home crabby and dirty. Guess he was describing his view at the time. I then told him I wanted to be a bank teller and he killed that idea by asking me why I would want to grow up to be a “sissy” (not the exact word). As you see, it looked like I was destined to be nothing. I did have an alternative plan in mind, however, which was to join the navy and see the world. I have thought about doing it many times since I was in the ninth grade. I didn’t give it serious thought until several months before my graduation. Shortly after graduation I decided to visit a navy recruiter. He had an easy sale because I had pretty much already made up my mind. I not only wanted to join the Navy but I also wanted to get as far away from home as possible. At that time there were two locations for navy boot camp. One was at Great Lakes Training Center just north of Chicago and the other in San Diego California. I told the recruiter I would join but only if he agreed to send me to San Diego. I felt this might be the only time I was holding all the cards. He told me it was closed because of a spinal meningitis scare. I said no problem; call me when it’s open again. That meeting pretty much started the ball rolling and it was just a matter of going home to wait it out. I wasn’t really sure if I would ever get called or if they would grant me my request. At the time I don’t think the navy was big on meeting your personal demands. We basically just spent time discussing what we were going to do with ourselves when we grew up. During the day I worked part time delivering dry cleaning for a local business. At night we drank beer and just hung out. August was our standard vacation month. We always traveled somewhere. I went on my last vacation with my parents. We drove to the east coast to visit their life long friends in Dorchester Massachusetts. Visited the very popular knitting mills, the city of Boston and passed by the navy submarine base in New London Connecticut. We then drove up to the port of Gloucester Maine. It was a rather enjoyable trip. I think it was because of the prospects of me doing something significant with my life in the very near future. A day or so after we returned I got a call from the recruiter. He told me the San Diego base was open again and if I wanted the guarantee of being assigned to the base I must come in immediately to register. The next day I traveled to the Cleveland Federal Building for a preliminary registration, entrance exam and physical. During the exam I was told I had flat feet and had the potential to be rejected by the service. I remember expressing some concern and pleading my case that I wasn’t joining the Army and hoped that this would not prevent me from getting selected. I was planning on boating not marching. Several days later was told I passed all exams and was to report back to make it official. My dad had to sign for me because I was only seventeen and still considered a minor. He didn’t seem to have any reservations about it. I do remember getting support from both my mother and father that this was probably the right thing for me to do. His main worry was that I was going to start smoking and learn how to swear. He didn't know I already knew how to swear and the smoking was never considered. At that time nobody ever heard of the place called Viet Nam. Joining the service was considered a gutsy honorable thing to do. When you graduated from High school you generally had only a few options. Go to college, get married, get a job that didn't require much skill or join the military and get free training and see the world. It was a no brainer for me. My grades were not good enough for college, I didn't have a steady girl friend to marry and I didn't have a clue on the kind of job I would want. I just knew I needed to get away and do something good. I took the navy oath of enlistment and my naval service was officially underway. The Enlistment oath was probably the first time I committed to something big and important. regulations and the Uniform Code of Military Justice. So help me God. A group of about twenty five of us paraded out of the Federal building and into a chartered city bus. We were taken to Cleveland Hopkins airport and boarded a united airlines flight to San Diego via Los Angeles. It was my first flight ever and I loved it. It was probably the first flight for all of us recruits. I remember how excited we all were. We talked non stop all the way to California. Every thing that happened that day turned out to be nothing short of awesome. I remember how exciting it was as we were landing in Los Angeles and seeing a great big city all lit up as dusk was approaching. We then quickly boarded another flight to San Diego. A very short flight but also very exciting as we saw the San Diego harbor and wondered what was about to come. The many orange lights that dotted the landscape were impressive, majestic and intriguing. I remember thinking to myself that this is going to be great. I of coarse had no idea what so ever what was is store for us in our new life as United States Navy sailors. Things rapidly changed the moment we departed the plane. Let’s just say it appeared the party was over. A military officer was there to greet us and quietly escorted us to our waiting grey navy school bus. The moment the bus doors closed. He started screaming orders on how to behave on the bus. He called us names like “little girls” and “sissies” and made it clear that we were in the navy now and have a lot to learn about how things work. No talking was allowed during that 15 minute bus ride to the naval base. Some how the San Diego landscape didn’t seem to have the same appeal it did just a few moments ago. For the first time I was contemplating if this was the right decision. I am sure everyone felt the same way. Some apprehensiveness started to quickly set in. My immediate thought was "guess what? too late now". I signed the papers and took the oath. You're in the navy now and they owned you. It was both scary and exciting. In some strange way the yelling and screaming made me feel relatively comfortable. I was yelled and screamed at for most for my life by my father who appeared to have given up on me long time ago. I saw joining the navy as an opportunity to prove him wrong and at the same time make something of myself. I think I actually enjoyed the barking of orders because for the first time in my life there was a reason for it. I was in the process of being stripped of all civilian beliefs and habits to become transformed into a structured disciplined military sailor. Looking back on this it is exactly what I needed to break free of my past dysfunctional family and start a structured new life that represented honor, commitment and courage. After arriving at the naval base there was a brief indoctrination. We stood under a big sign that stated the following. We met our company commanding officer. He made some comments that I will never forget. Boys you’re in the navy now and when you leave here you will be men of the United States Navy. Prepared to fight and die for your country if necessary. He made it crystal clear that the next nine weeks will be as close to Hell on earth as you can get. He said everyday by 8:00am you will have accomplished more then most people back home accomplish all day. He also promised us when the training was complete we would think more positively about ourselves then we ever have in our previous pitiful lives. He was right on both accounts. After a quick roll call we were assigned to a temporary barracks as it was approaching midnight. I remember thinking that it seemed like I was in the navy for weeks. In fact it was only fifteen hours. Shortly after we arrived in our barracks, an announcement came over the PA system that lights will be out in five minutes and that we are to get any sleep we can because 5:00AM comes early. It was to be a very busy seventeen hour day tomorrow. I clearly remember when those lights went out the sounds of eighty kids from all over the country spending there first night in the US navy. There was some short quiet laughter, some very quiet foul comments and some crying. Then there was complete silence. The silence told the whole story. I also remember feeling like I was going to throw up. The problem was we were told not to leave our bunks under any circumstances until reveille. I must have talked myself out of it for fear of failing to follow orders on day one. Found myself wondering for the second time if this just might have been a mistake. I also learned very quickly what it felt like to be homesick. I expected it but not on day one. I fell asleep frighten about my future and concerned about not being able to cut it. I was also very excited about the possibilities and proud I made it through day one. My first reveille came as promised just five hours later at 5:00AM sharp. The trumpet played loudly, the bright lights click on and a mean scary voice was the first thing we heard blasting over the barracks loud speaker. “You have exactly fifteen minutes to make your bunk bed spotless, get cleaned up, dressed and report outside to muster DON’T BE LATE!” This is when we first learned the traditional navy term “hurry up and wait”. The sight of eighty young boys carrying out their first orders of the day was a sight to behold. It was quite chaotic but if I correctly recall, everyone made it on time.